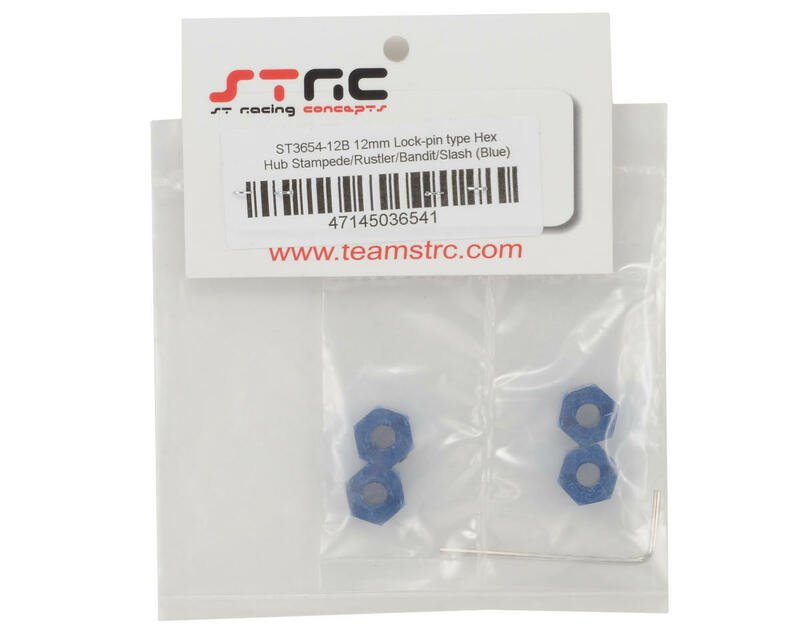 This is an ST Racing Concepts 12mm Blue Aluminum "Lock Pin Style" Wheel Hex Set. 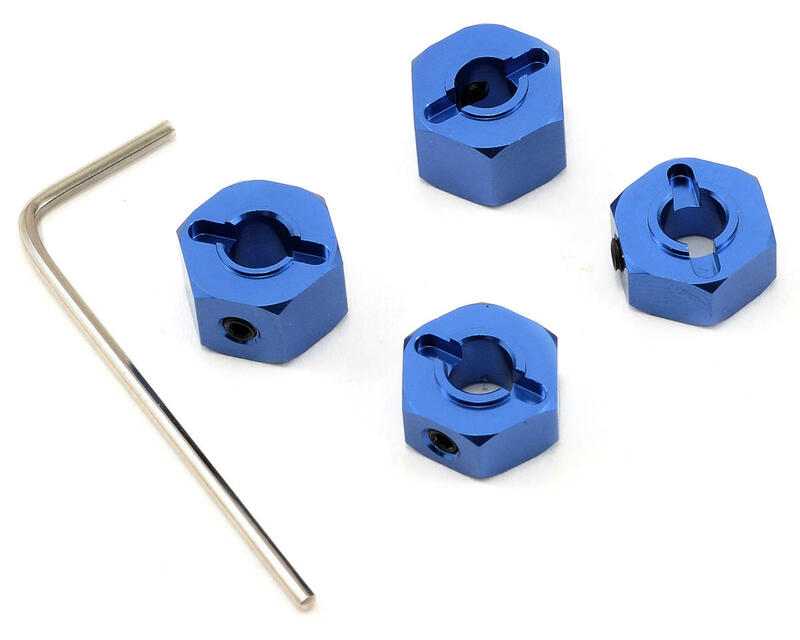 Using high quality CNC machined aluminum, these lock pin style aluminum wheel hex locks down on the axle pins so loosing pins are no longer a problem for your Traxxas electric Stampede, Rustler, Bandit and Slash, as well as the Nitro Slash. Aluminum hex are also more durable and less likely to strip out and provides a better fit to the wheel hex. These popped onto my Ruslter VXL in seconds. Perfectly machined, great quality finish. Locked down tightly and offers a nice, snug fit to Rustler/Pede wheels. my slash 4X4 wheels were running when used with proline renegade so I got these for the Front even though they are for rustler. Works great. I replaced with Arrma Granite as standard plastic scattered after installation of brushless system. Excellent quality densely sit. Perfectly adjoin to wheels don't dangle. Strongly I didn't tighten an internal nut as in this place the vtkrka is narrowed. Generally I am happy.